A blessing in disguise, a sparse population of about 2 million, allowed the wildlife to thrive. So much of Namibia is wild, exuberant, and exotic, attracting visitors far and wide who are looking for an authentic African experience. To make your experience in this off-the-beaten track African country more rewarding, here are the best things to do in Namibia. 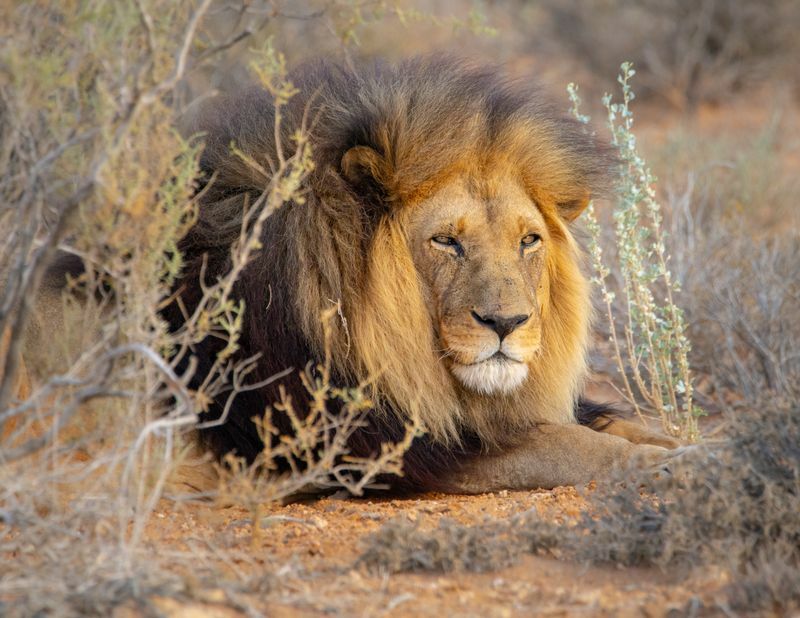 Where else can you find more undisturbed wildlife than in Namibia? Namibia is home to a quarter of the world’s cheetahs as well as to a healthy population of the black rhino. 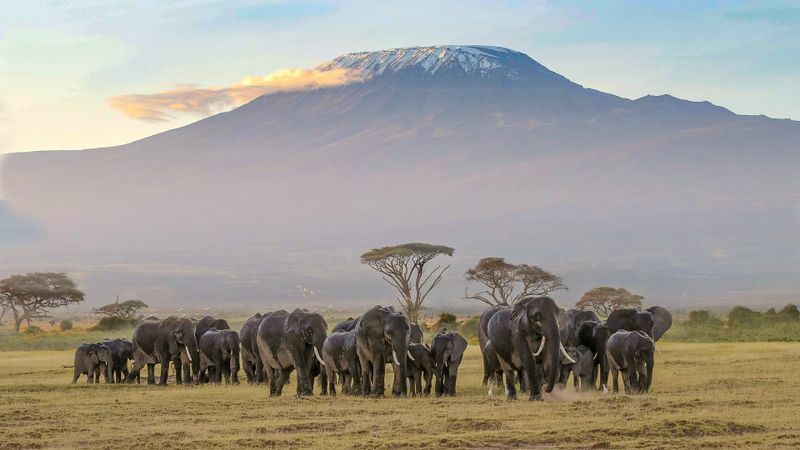 Safari enthusiasts should also add Etosha National Park to their to-do list while visiting Namibia. Spanning over 8,600 miles, the park is home to hundreds of species of wildlife, including several endangered species. Almost a quarter of the park is covered by the Etosha Pan, the largest salt pan in Africa – so big that it is visible from space. The endangered mountain zebra is found in western Etosha. It is also home to the endangered black-faced impala, which can be spotted nearer to the Dolomite Camp. As with most of Namibia, the best way to experience a safari in Etosha National Park is on your own. 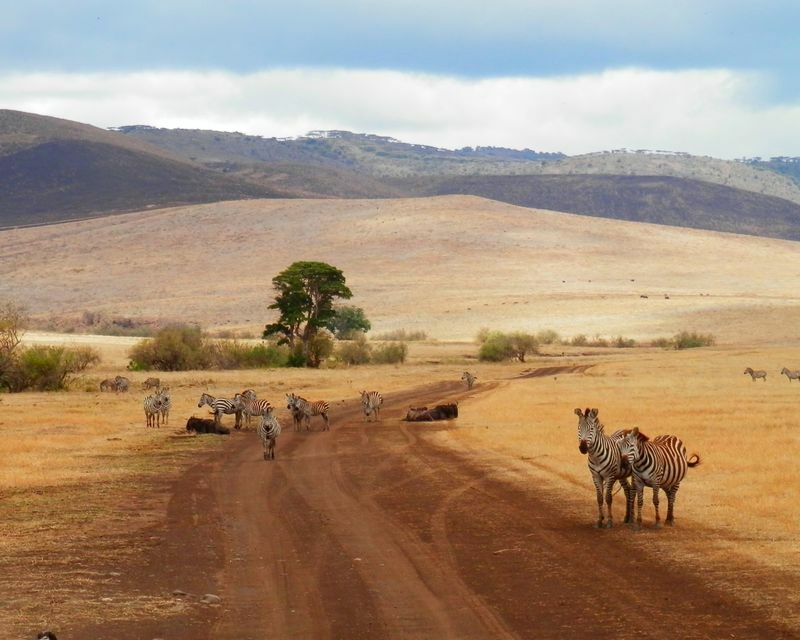 Self-drive safaris will offer you an unrivaled sense of adventure within the park. 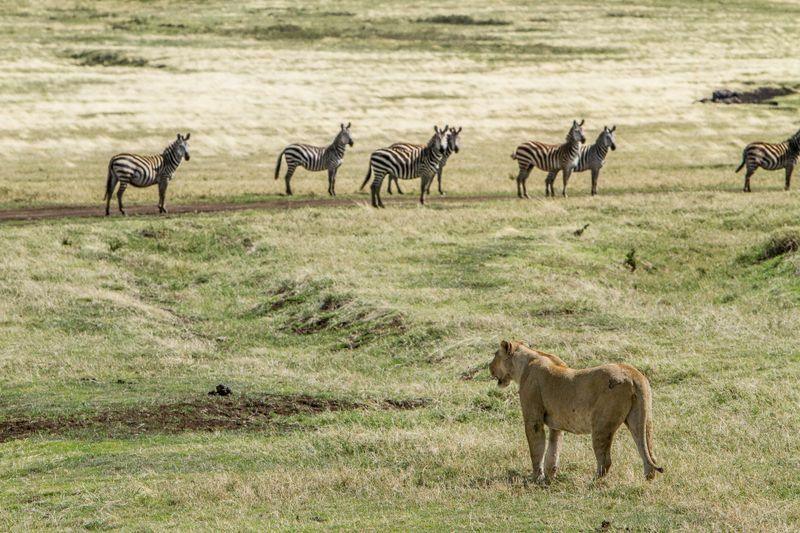 Treat yourself to front row seats in Okaukuejo as wildlife – zebras, wildebeest, rhinoceros and many more – come down for a drink at the watering hole! Do you want to witness the wildife in this amazing park? 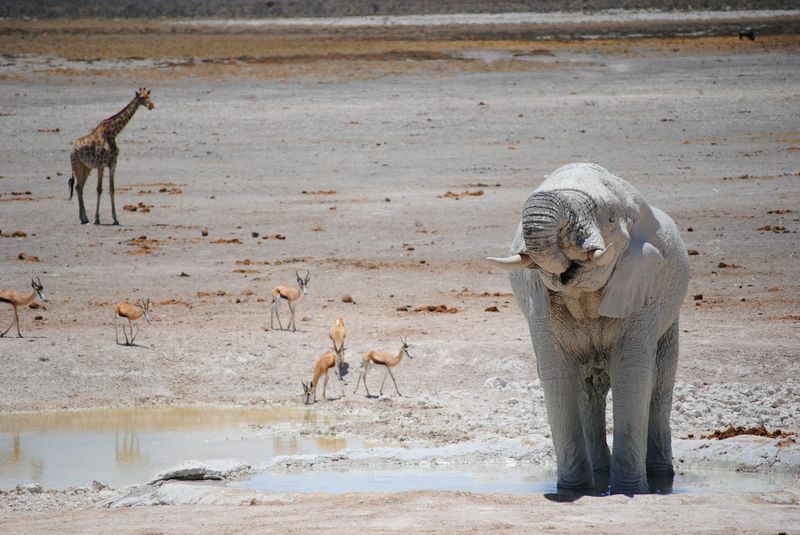 Check out our article about visiting Etosha National Park to plan an unforgettable trip! Namib-Naukluft National Park comprises the Namib Desert is often called the world’s oldest desert, as it is believed to have been in existence for more than 40 million years. This coastal desert extends over 1200 miles along the Atlantic coast. Aside from scattered towns, most of the Namib is uninhabited – wilderness at its core. While larger mammals are scarce in this part of the country, reptiles thrive, with over 70 species found in the area. Here you will also find one of its tallest sand dunes – the Big Daddy, who stands at 1,066 feet. A visit to the Namib Desert is a must if only for the view you’ll be able to catch atop the Big Daddy. Among the towering dunes in the central Namib Desert, there is an area known as Sossusvlei. It is a strange, ghostly landscape, salt-covered expanse with a compact layer of clay in the soil. 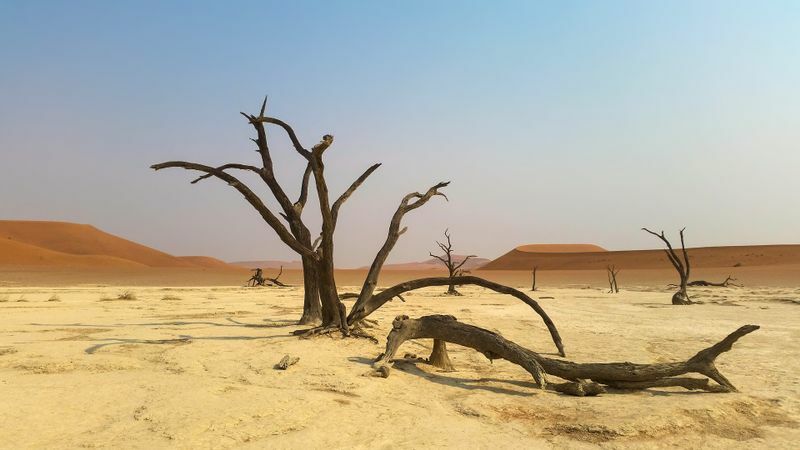 Nearby is another strange place even more dead than Sossusvlei, called Dead Vlei or “dead marsh”. The climate became too dry here for the trees to even decompose. They simply scorched in the sun. The 1,000 years old trees now form a barren forest. If there is any place in the world where you should consider doing a self-drive safari, it’s Namibia. With its deserts spanning endless miles and so few traffic congestions, Namibia is any driver’s dream. Driving in Namibia will allow you to experience the country at your own pace and your own time. But it’s important to be prepared for long drives. It would be many miles before you meet the next gas station or the next town, so do ensure a full tank for the journey, as well as adequate food and water. Drive on roads that are suitable for your car. All national roads are tarred and well maintained, but secondary roads are most often not. However, where possible, we do recommend that you do explore secondary roads, as that will be where you find conservation centers and traditional communities – completing the Namibian experience! Be vigilant while driving in Namibia and always be on the lookout for wildlife crossings. 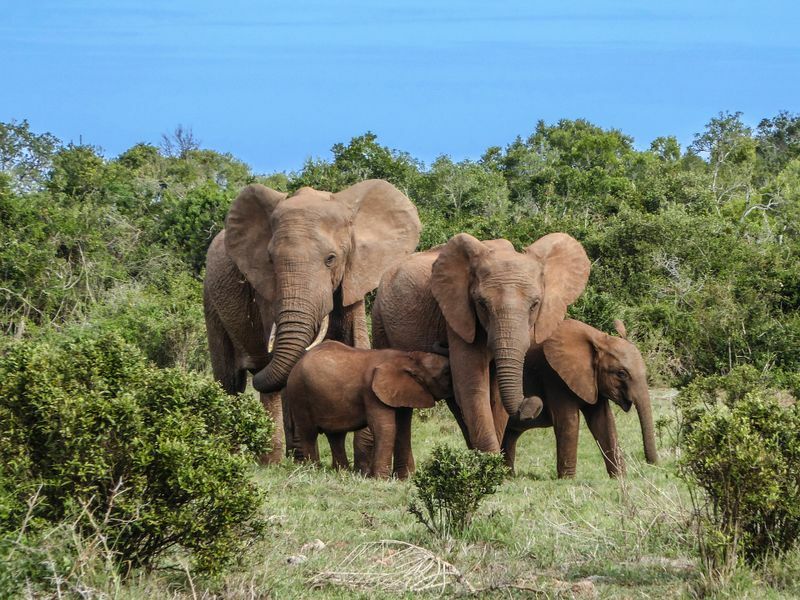 Elephants frequently pass through roads, as do oryx, antelopes, and warthogs. 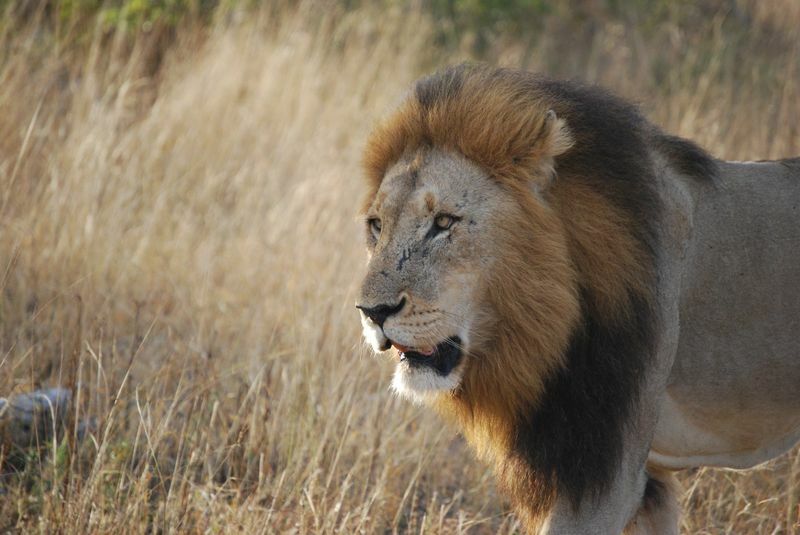 The animals are most active during dusk and dawn so if you’re on the road at these hours, stay extra focused! Located roughly 30 km inland from the town of Swakopmund, the Moon landscape is a result of erosion caused by the Swakop River over 2 million years ago. The Moon landscape provides a view that is otherworldly and stunning. Though seemingly inhospitable, there are signs of life here in the form of desert shrubs and lichens. When entering this area, take extra care, as there are no safety barriers. If you want to plan a trip to the Moon landscape, tour guides are available for hire at Swakopmund or at Windhoek. 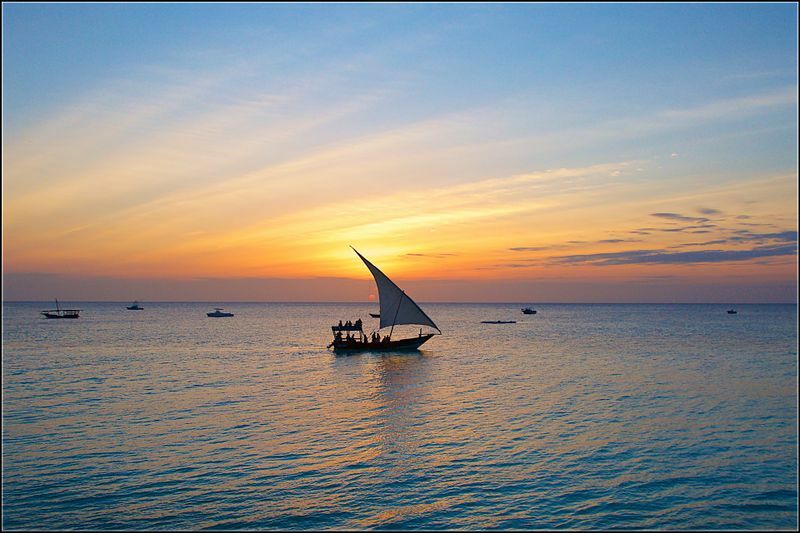 For a fee, guides will be able to take you there and back. If you opt to drive, plan four hours or more into your drive duration. There are no shops or gas stations along the road towards the Moon landscape, so do pack food and have extra fuel in the car. 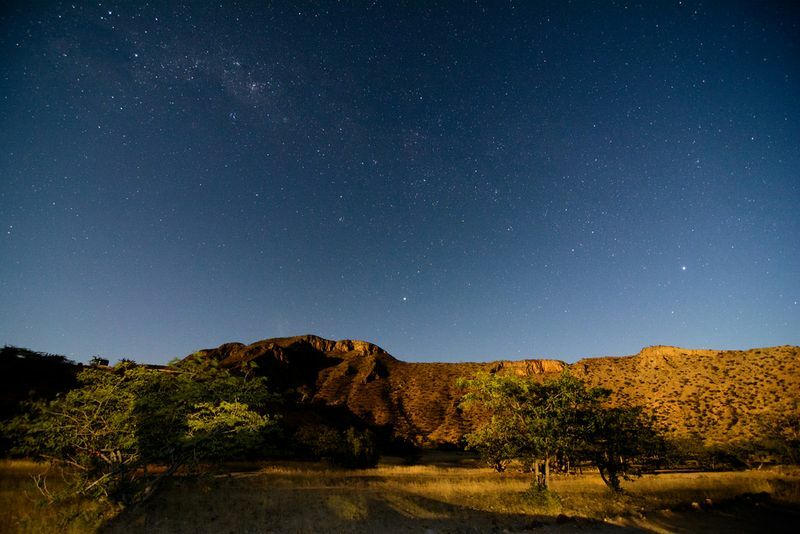 There is no better way to do star gazing than in the Namib Desert. And the best way to enjoy this is to camp in it! The dry and cool desert air offers the perfect conditions for gazing at the night sky. Without moisture and other polluting lights, the sky is crystal clear. 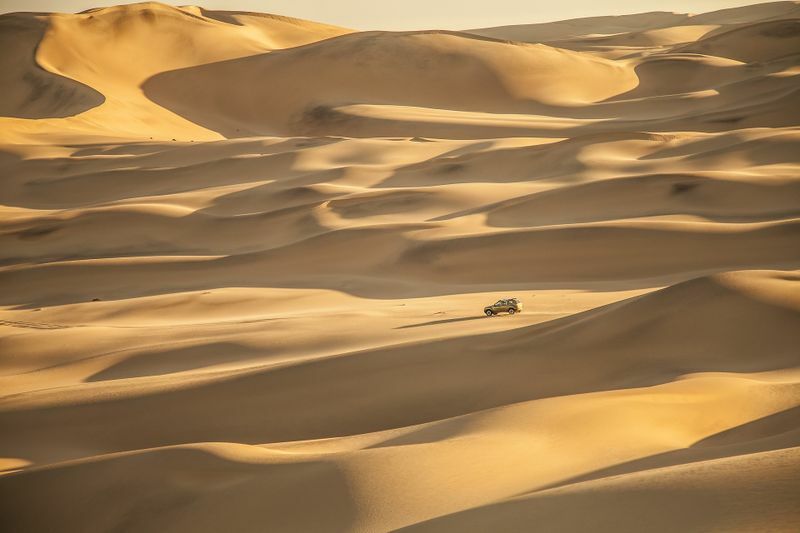 In the great desert, there are no 4 or 5-star hotels. Instead, there is a “thousand-star hotel”. As you sit outside your tent and gaze up, you’ll find a magnificent array of stars coloring the sky. 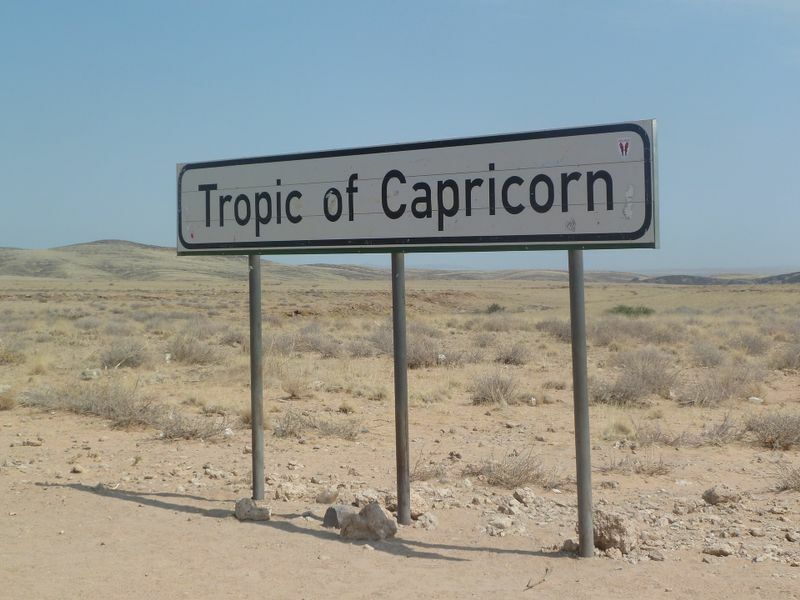 One of the most photographed spots in Namibia are the two signs marking the Tropic of Capricorn crossing. They are placed at the 23°26′13.0″ South Latitude line. You can find it along route C14 about an hour outside of Solitaire, on the way between Sossusvlei and Walvis Bay. However, the Tropic of Capricorn is not a truly fixed location. It creeps northward each year, thus the road signs are actually an inaccurate geographic market. Nevertheless, they are a great photo opportunity. Once upon a time, Kolmanskop was a thriving city where people flocked after diamonds were discovered in the area. Diamonds were in such a big supply that they could be picked off the ground with bare hands. Soon, the German-influenced town grew to have ballrooms, casinos, theatres, and hospitals. During World War I the price of the diamonds dropped considerably. On top of that, larger diamonds were found in Oranjemund, so people flocked there. Kolmanskop was completely abandoned by 1956. Today, the eerie ghost time is a popular tourist destination. The sand has taken over the houses. 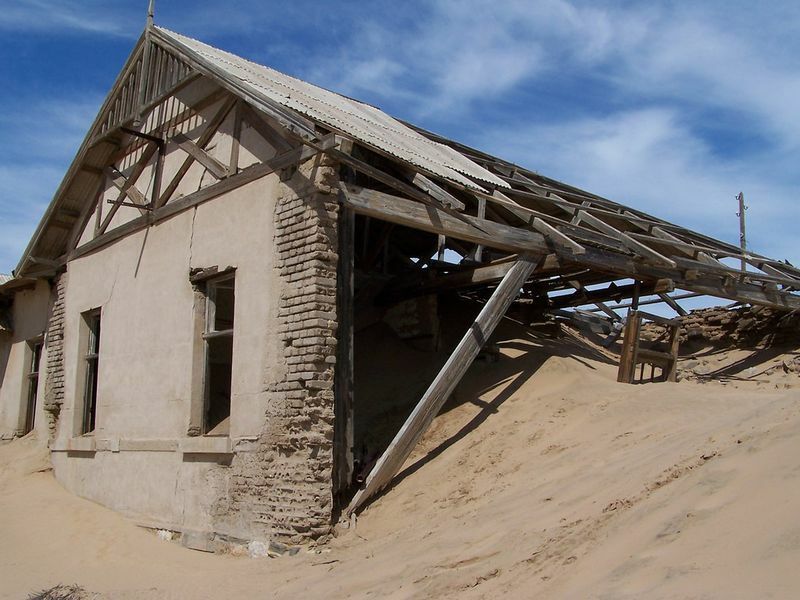 You need to join a tour to visit Kolmanskop. The tours depart each morning and the guided portion lasts for about an hour. After that, you have time to wander yourself and take photos. Yearning to explore Namibia? Choose one of the jeep safaris in Namibia and enjoy the magnificent landscape and wildlife.